Backed by an investment of $50 million in coating, slitting, and die-cutting equipment, Buckeye Business Products has positioned itself as one of the lowest cost manufacturers of pressure-sensitive labels and thermal transfer ribbons on the market. Unlike the competition, Buckeye is one of very few companies that sells manufactured product from start to finish. We are truly vertically integrated. 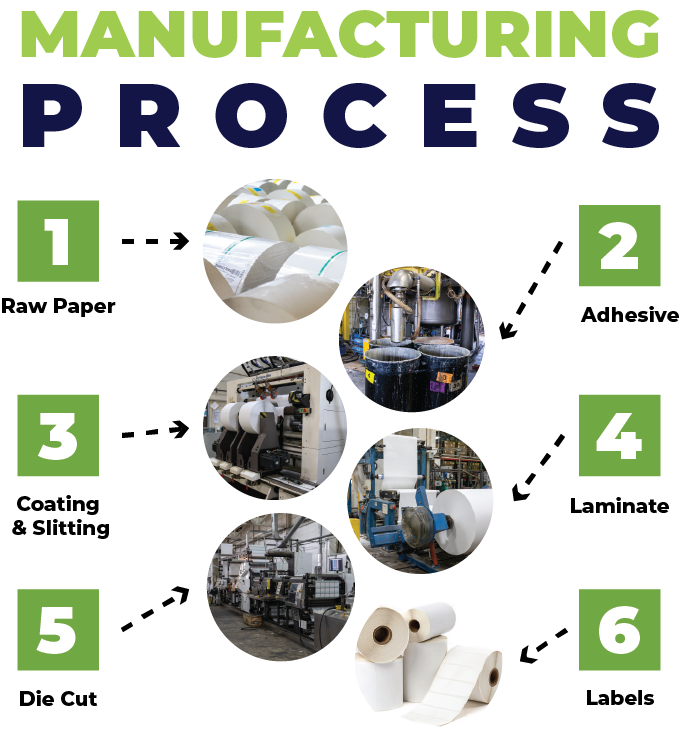 We buy raw materials and turn them into labels with the use of the most cutting edge manufacturing processes in the industry, and by selling only to end-users we eliminate the cost of an extended supply chain in order to pass those savings on to you.